As mentioned in a previous blog post, The Bucket Ministry has a robust prayer team lead by Rhonda Martin. It has been a blessing seeing how God has answered our prayers through this prayer team. We want to share one of those stories now. We began seeing God work through the prayer team immediately after it was formed. In fact, Rhonda’s first text introducing the group included a prayer request. On June 18th of 2018 around 9 pm, Chris Beth, founder of TBM, told Rhonda about a situation going on that needed prayer. A large mission team was only two days away from leaving for Brazil to give out filters. But there was a hiccup with the buckets, which TBM almost always buy in-country. Chris writes, “It seems that our delivery of buckets that was coming from South Brazil has been lost due to some strike with transportation.” TBM needed 400 buckets in Manaus, Brazil by the time the mission team arrived a few days later. Although plastic buckets are easy to find in the U.S., this is not the case in many other countries, including Brazil. Plastic buckets can be uncommon and fairly difficult to find. The prayer team responded immediately and began praying for the finding and arrival of the buckets. The results were immediate. 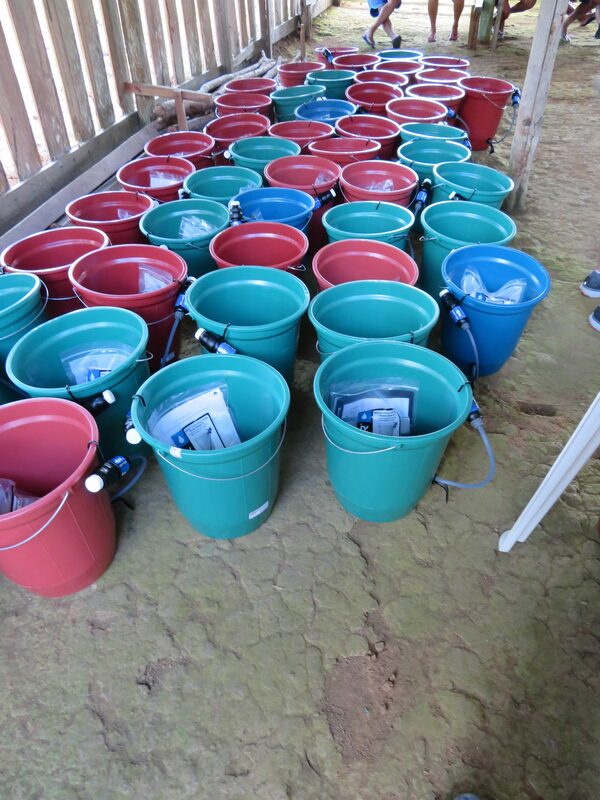 By noon the next day, TBM’s partners in Brazil had located more than 400 buckets to satisfy the need. The mission team was able to provide a bucket and filter to every listed family in the five villages they visited. We couldn’t have done it without the intercession of the prayer team and God’s response.